Summary: Since 1985, Brickhouse has been responsible for conducting all aspects of the permit-required environmental monitoring and compliance reporting at the Southeast Chester County Refuse Authority (SECCRA) landfill. In addition, Brickhouse has provided engineering, hydrogeologic, and permitting services in support of Solid Waste Permitting, landfill expansion, landfill gas to energy, and leachate wastewater management. Brickhouse Environmental has provided a variety of consulting and engineering services for the Southeastern Chester County Refuse Authority (SECCRA) landfill since 1985. 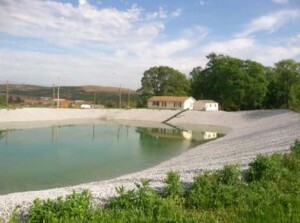 The primary areas of Brickhouse Environmental’s service to SECCRA have been landfill permitting, solid waste facility design and operational review, civil and geotechnical engineering, wastewater/leachate treatment and recirculation, landfill gas management including a gas-to-energy feasibility study, groundwater monitoring and data validation, and hydrogeologic investigation and monitoring. Aquifer modeling to predict responses to landfill expansion. Since the beginning, Brickhouse Environmental has handled all aspects of the SECCRA quarterly monitoring program, including field sampling, laboratory coordination, QA/QC program development and implementation, data analysis, and regulatory reporting. Our overall goal has been to obtain the highest quality legally defensible data that would allow SECCRA to operate their facility with confidence that area water supplies were being protected. Brickhouse Environmental obtained the most recent ten-year solid waste recent permit renewal in 2009. Brickhouse Environmental was responsible for designing and permitting a 47-acre expansion of the SECCRA Community Landfill, which was approved in December 2011. This expansion includes 10 acres of slope leveling over the existing landfill cell and will generate approximately 3 million cubic yards of disposal capacity. 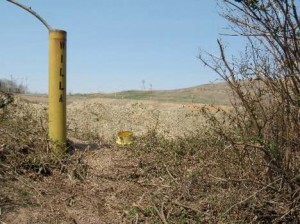 The permitting required a background hydrogeologic investigation on the proposed expansion area, which included six new permanent monitoring wells (four shallow, two deep), two 200-foot deep rock cores, six temporary piezometers, and completion of a comprehensive aquifer testing program. Providing valid technical support is critical, as typical community opposition to operations and expansions are well funded and organized. One of the comments that we addressed was the potential impact on first-order stream baseflow in the area from capping 37 acres and removing this area from groundwater recharge. In response, we developed a groundwater flow model within the expansion area, and determined the expected loss to stream baseflow based on the eventual capping of the landfill at 6,200 gallons per day (annual average). The final design utilized a constructed wetland to store stormwater and then slowly release it into the stream to match the baseflow lost to impervious cover. In 2013 Brickhouse Environmental obtained a joint Solid Waste and Water Quality Program permit approval to construct and operate a Reverse Osmosis (RO) System for the treatment of all landfill leachate. This RO System replaced the former leachate evaporators, which were energy intensive and generated very visible emissions. The system also includes a lagoon and spray irrigation field for disposal of the treated effluent.